Most of the time fainting is harmless, but a small percentage of people faint due to serious medical conditions, such as an irregular heartbeat, or arrhythmia. These arrhythmias usually come and go quickly, and the person's heart rhythm returns to normal by the time the ambulance arrives or they reach the ED. Fear of these arrhythmias coming back have led to patients being kept in the ED for eight to 12 hours. Approximately half of all patients who are hospitalized for fainting across Canada are admitted so their heart rhythm can be monitored. However, only a small proportion of patients will experience a dangerous irregular heartbeat, heart attack or death within a month of fainting. "Before this study we didn't know which fainting patients needed to be monitored in the Emergency Department, and how long they needed to be monitored. We didn't know who needed to be hospitalized in order to catch life-threatening conditions. Now we have answers to these questions that will help improve patient care, and potentially reduce ED wait times and hospital admissions." said lead author Dr. Venkatesh Thiruganasambandamoorthy, an emergency physician and scientist at The Ottawa Hospital and associate professor at the University of Ottawa. 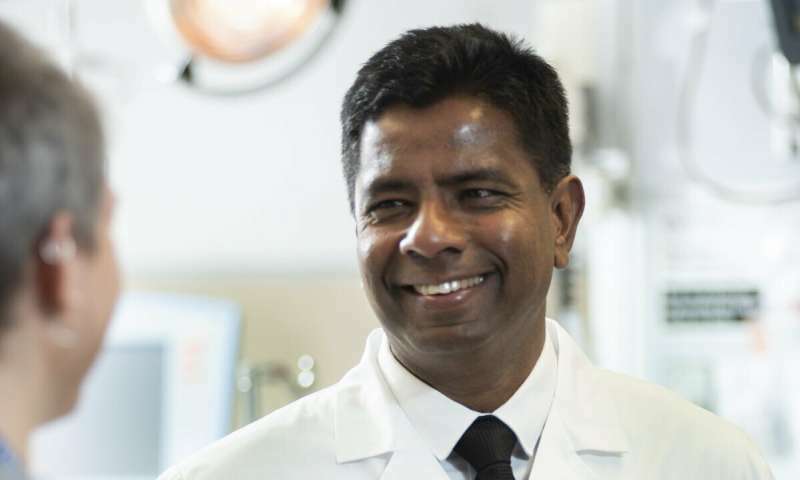 Dr. Thiruganasambandamoorthy's team previously created a simple tool to help emergency physicians identify those fainting patients who are at greater risk of adverse events. In this observational study, they used the tool to rank 5,581 patients from six EDs across Canada as low (0.4 percent risk of an arrhythmia within 30 days), medium (8.7 percent) or high risk (25.3 percent). medium-risk patients suffer are important but non-life threatening, so these patients can be monitored from the comfort of their homes. A few days in hospital can be considered for high-risk patients." "Our study suggests that three quarters of the 200,000 fainting patients who come to Canadian Emergency Departments every year are at low risk of adverse events. They can safely be sent home once they've been in the ED two hours and a physician sees them." said Dr. Thiruganasambandamoorthy. Researchers at The Ottawa Hospital are known around the world for creating decision rules that improve patient care. The study was funded by the Physicians' Services Incorporated Foundation, Innovation Fund for Academic Health Sciences Centres of Ontario through The Ottawa Hospital Academic Medical Organization, the Canadian Institutes of Health Research, Heart and Stroke Foundation of Canada, and the Cardiac Arrhythmia Network of Canada. Research like this is possible because of generous support for research to improve patient care at The Ottawa Hospital. It was also supported by The Ottawa Hospital's Ottawa Method's Centre.